The head of Britain’s central bank says recent “constructive developments” will help limit the scale of any recession that would occur if Britain leaves the European Union without a withdrawal deal. Bank of England Governor Mark Carney said border agreements, the rollover of some trade agreements and improvements in derivative markets mean the British economy won’t shrink by as much as the bank in November indicated was possible. However, he says a disorderly Brexit would represent a “material economic shock” for the British economy. Poland’s government has agreed to a backup plan in case Britain crashes out of the European Union without an agreement. Britain is due to leave the EU on March 29, but Parliament has rejected Prime Minister Theresa May’s deal, raising the prospect of a chaotic, economically damaging departure from the bloc. The move seems to be an attempt to shore up the stability of British banks in the case of a “no-deal” Brexit, a scenario in which Britain could fall out of the European Union without a deal on trade relations. That could stress the financial system, and providing liquidity would be one way for the central banks to keep the financial sector going. The Bank of England has warned that “significant market volatility” is likely if Britain crashes out of the European Union on March 29 without a deal. 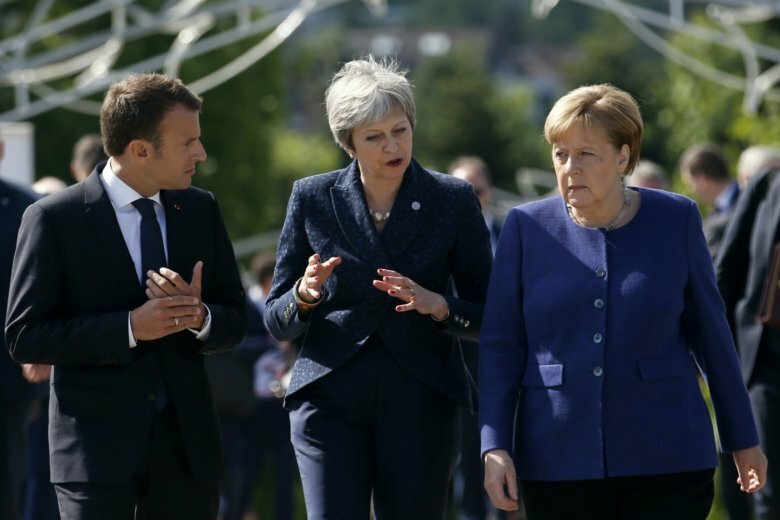 EU leaders insist that the legally binding withdrawal agreement can’t be reopened. But Hunt told the BBC that Britain is “prepared to be flexible” about how changes are achieved.